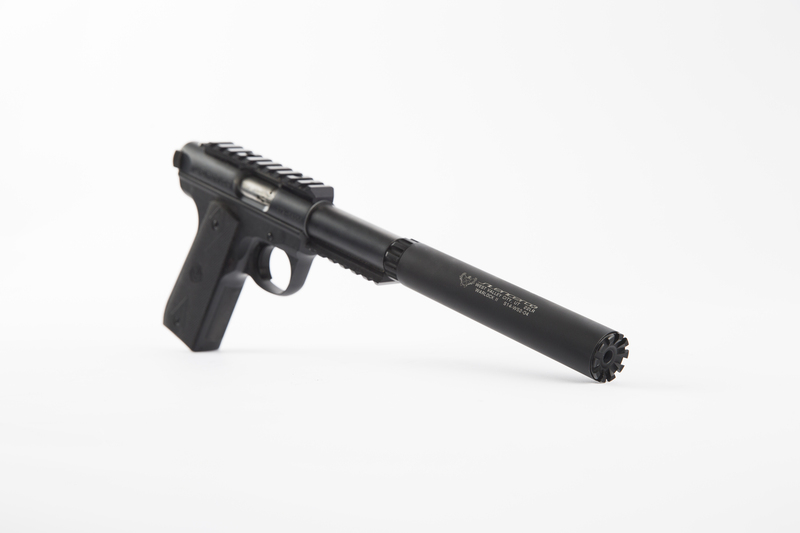 The Silencerco Warlock is our most affordable .22 LR suppressors, selling for just under $300. It is a designated .22 LR can, meaning you cannot shoot any other calibers through it. However, since it does not have to withstand higher pressures, the Warlock is very light at only 3 ounces and reduces sound to about 115 dB. The Warlock disassembles without the use of tools and has a stack of baffles the “click together” making it very user friendly to maintain.